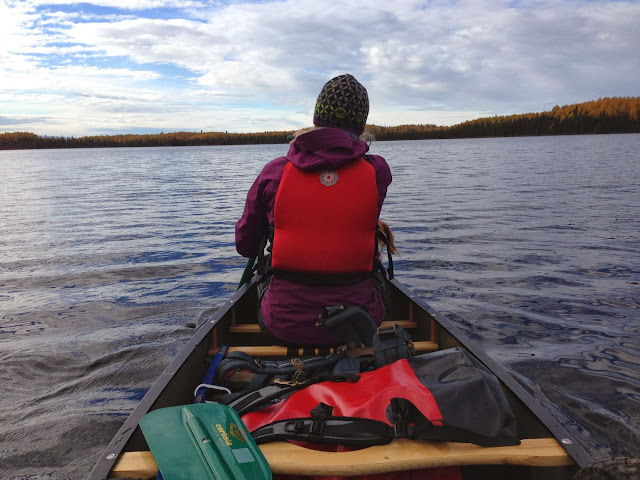 3000 miles north & back: A weekend on the canoe. 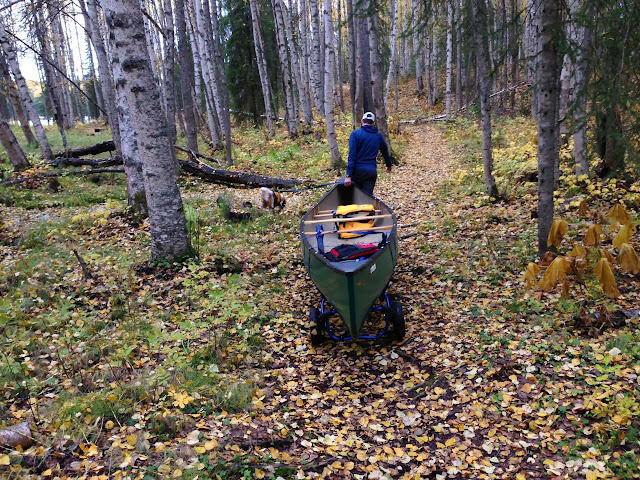 Nancy Lake canoe trails. 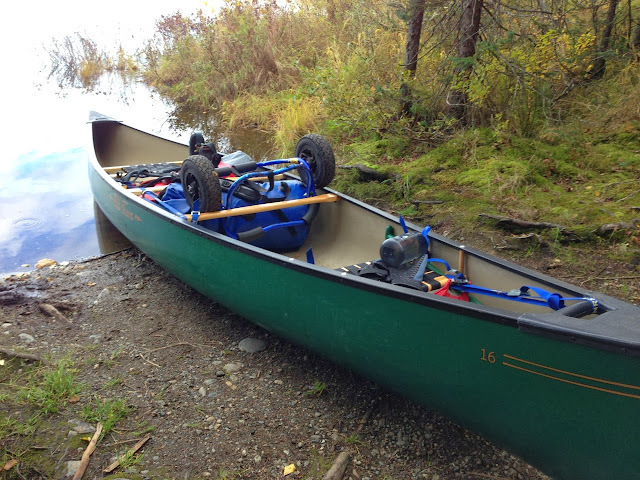 Another bucket item crossed off our list. 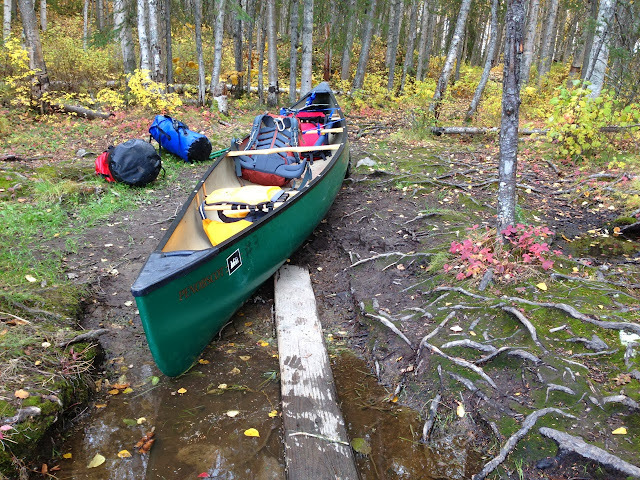 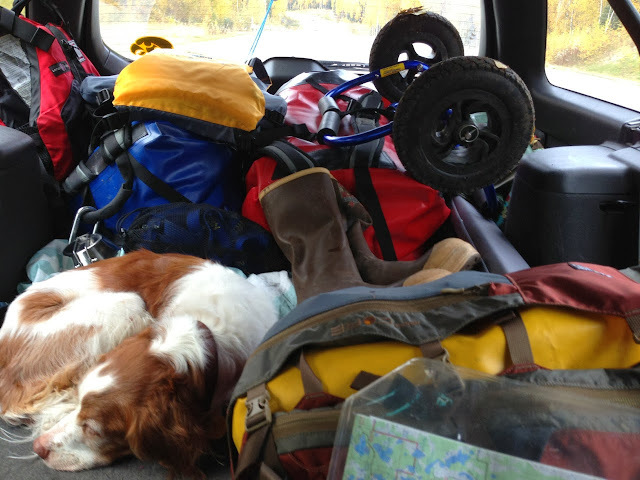 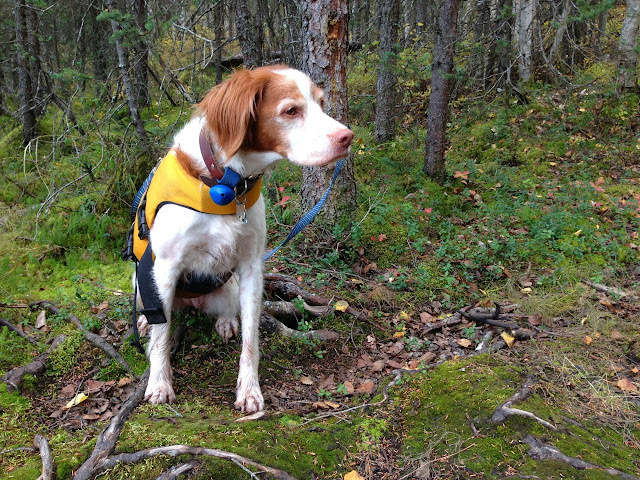 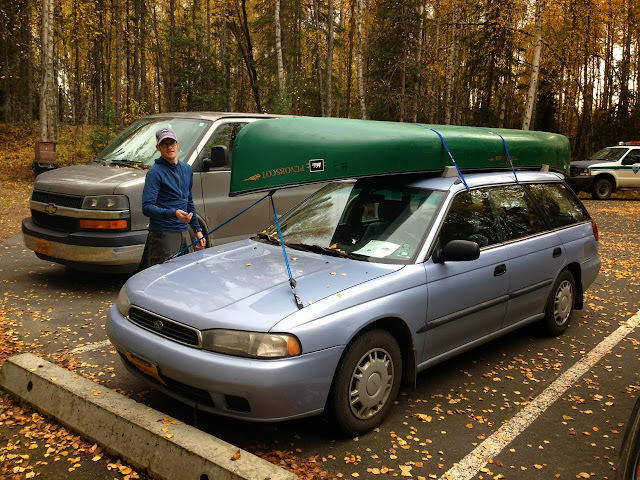 In late October, Matt and I rented a canoe from REI, perched it on top of my Subaru wagon and headed north of Anchorage for a weekend of canoeing, portaging and camping. 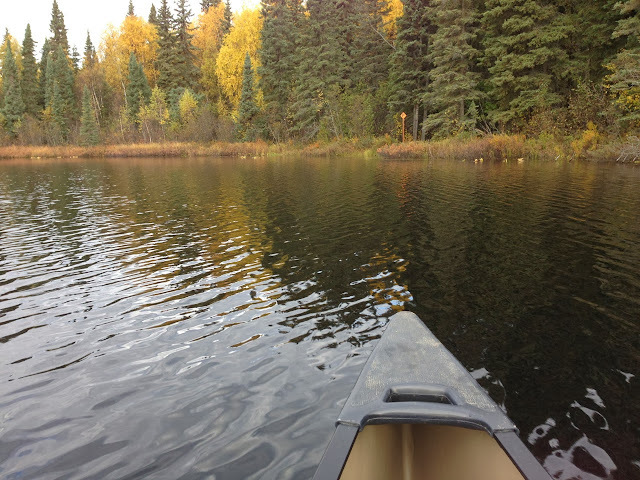 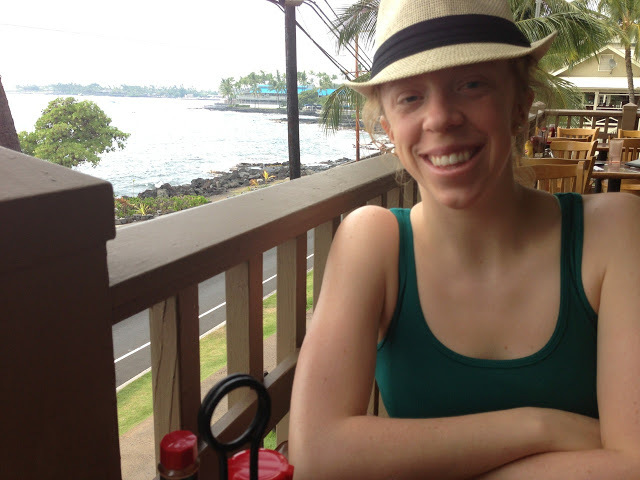 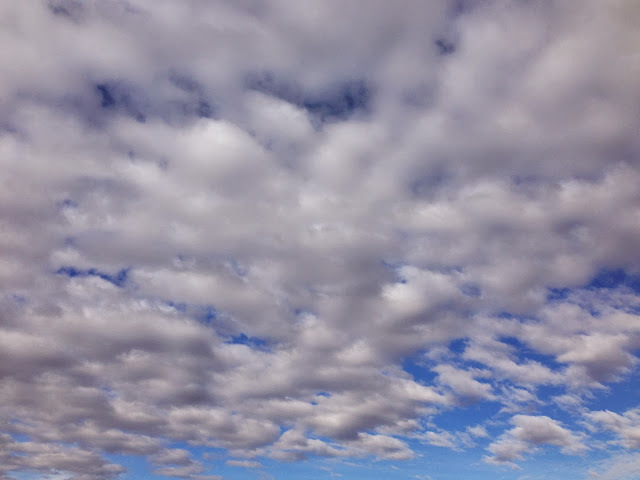 It was a lovely fall weekend - the leaves on the trees were changing colors and the water was crystal blue. 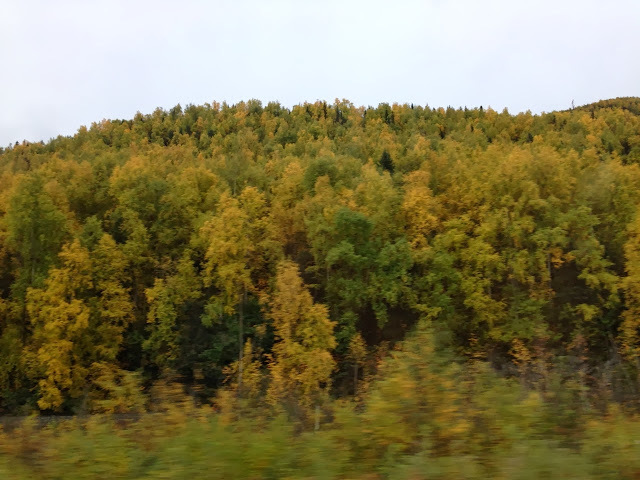 The temperature was in the low 40s. 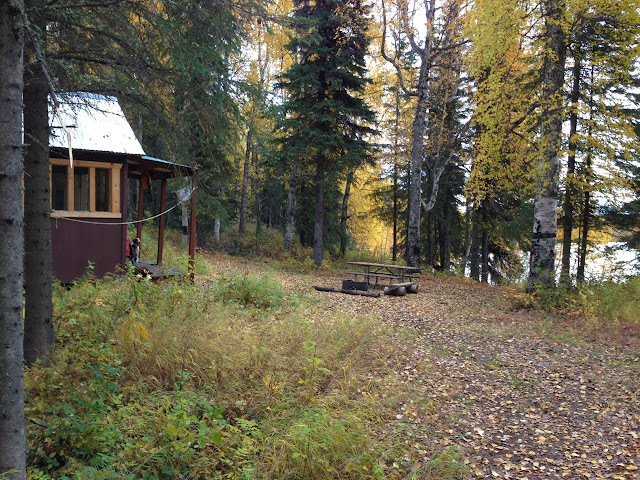 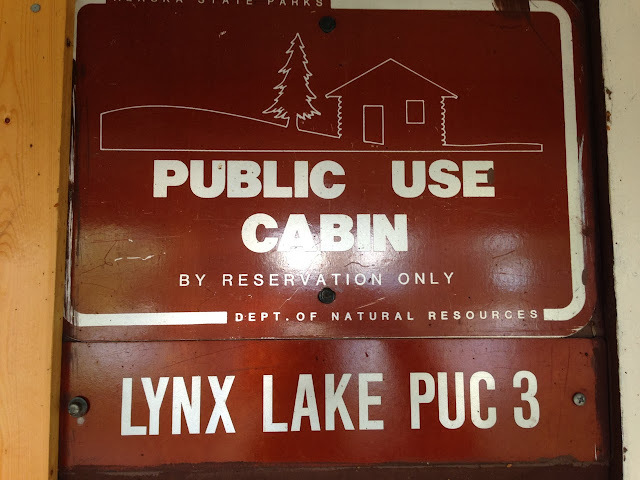 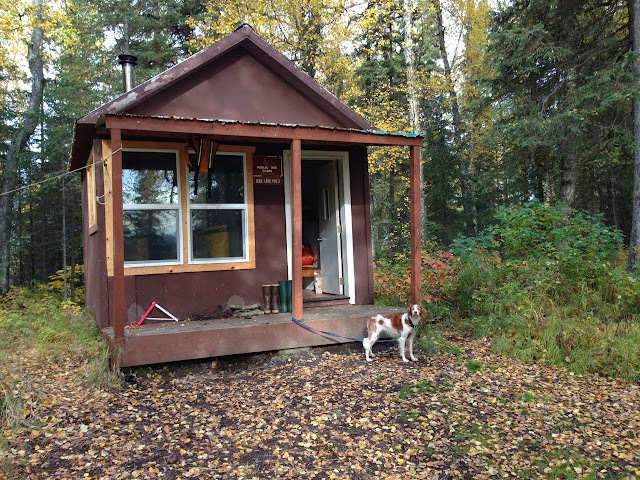 We rented a Public Use cabin on Lynx Lake. 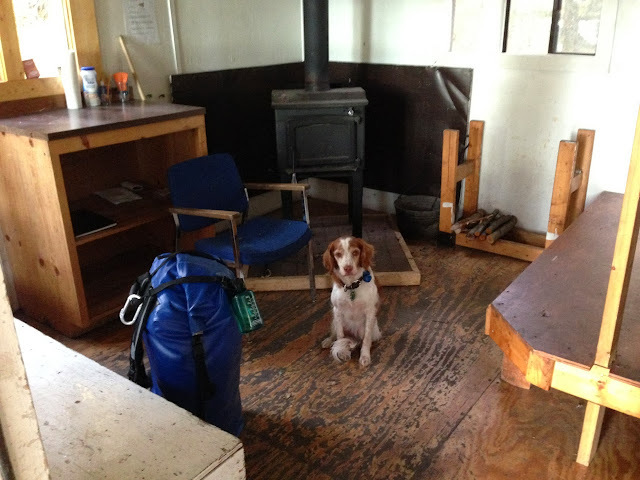 The wood stove came in very handy at night when temperatures dipped into the low 30s/high 20s. 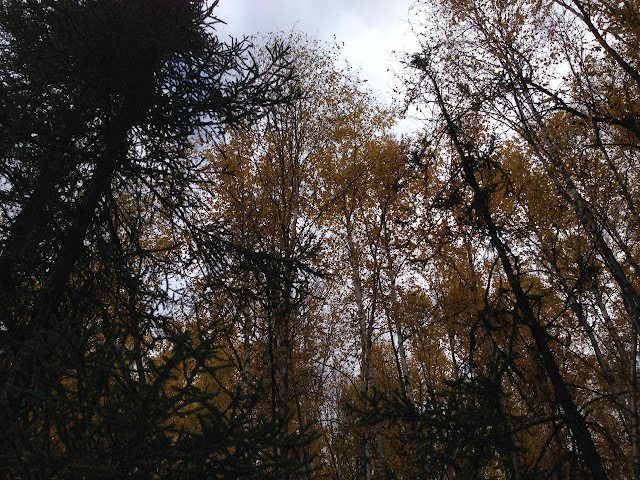 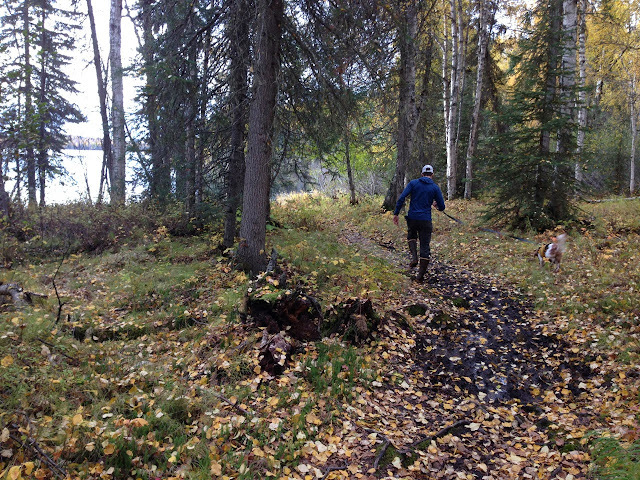 …and lake trails. 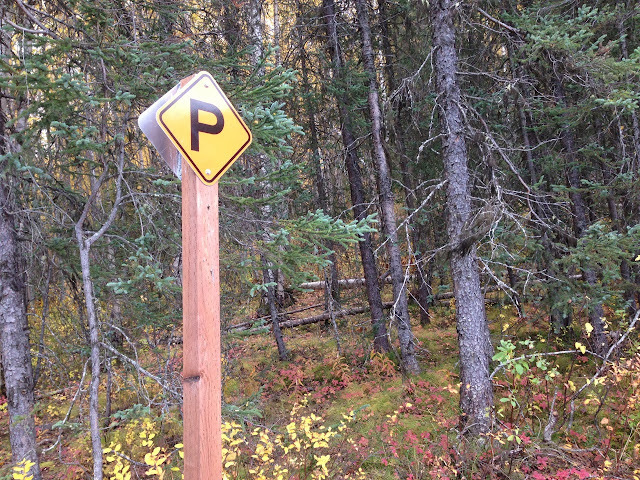 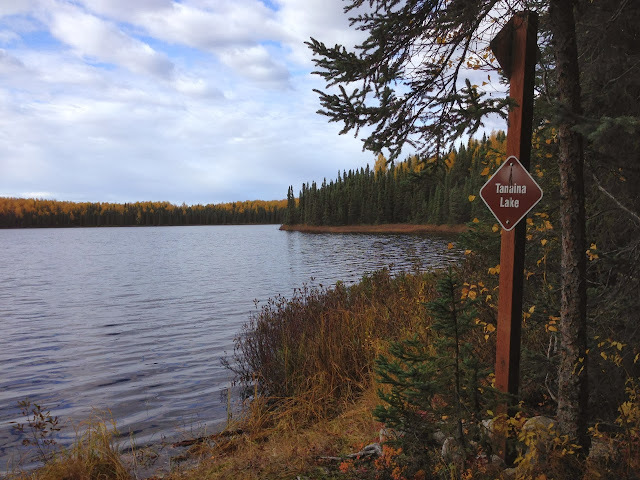 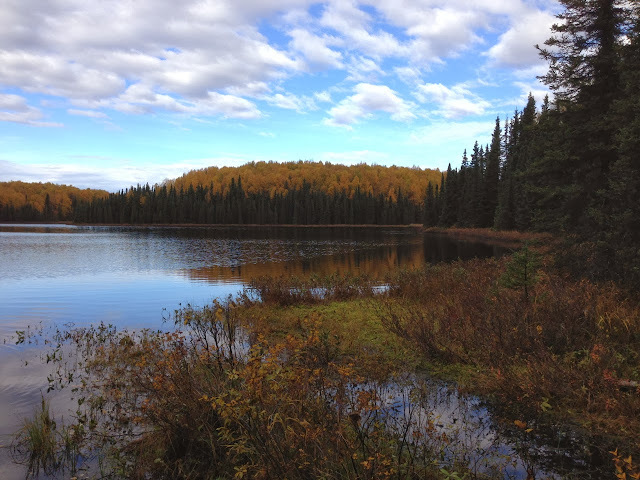 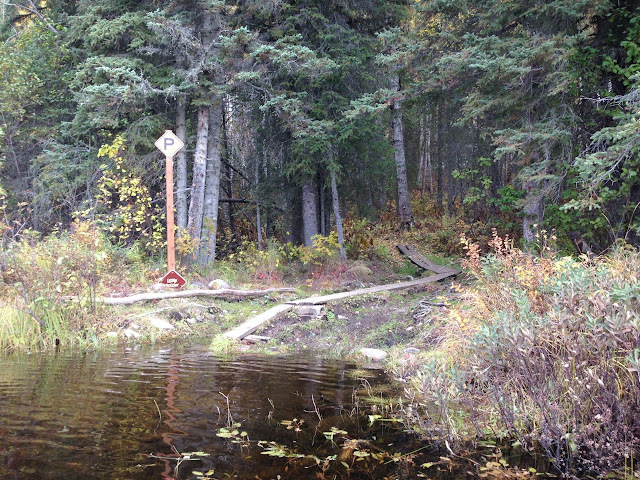 Each trail has a marker near the lake where it is appropriate to park a canoe and begin hiking, or portaging, to the next lake. 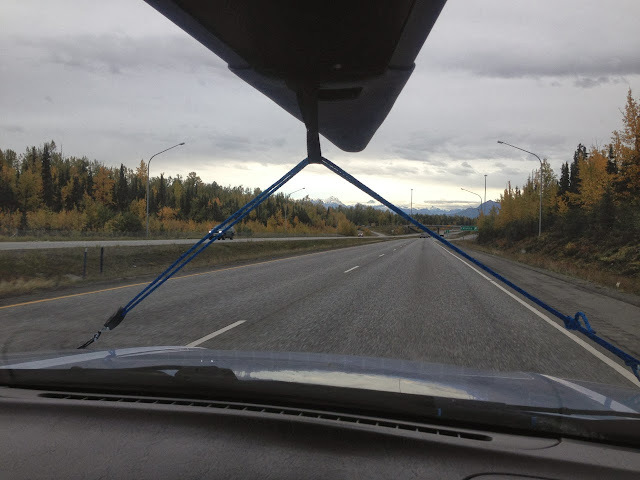 After spending a wonderful weekend in the Alaska wilderness, we unloaded the canoe and put it on top of my car and headed back to Anchorage.